The Ned A. Hatahli Museum preserves, promotes, and perpetuates the cultural heritage, beliefs, and traditional values of the Navajos and other Native Americans for future generations.The Museum’s programs and exhibitions are “designed to interpret the Navajo concepts and value. Navajo Culture is not an inanimate or static culture, and should not be depicted as such, but one that is vibrant and alive, in a healthy state of continuous transition. The Museum believes that the time has come for Native Americans to interpret, depict and record their own cultures. The Haskell Cultural Center and Museum officially opened its doors on September 14, 2012 with the funding support of the American Indian College Fund, the Lily Fund, and the W.K. Kellogg Foundation. 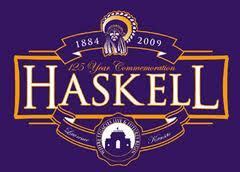 Haskell’s unique history reflects the history of Native education, evolving from a boarding school to a fully accredited university. The records contained in the Haskell archives are vitally important both historically to Haskell faulty, students, staff and alumni family but also to researchers of tribal history and education. The Cultural Center also serves as a gallery space for student and alumni art work and Tribal cultural work. The Cultural Center is also a place where students can gain hands on learning experience in cultural preservation management and museum studies while working with the collections and fulfilling their internship requirements. Driven and inspired by Spelman College’s mission statement, the Gordon-Zeto Center for Global Education reaffirms the College’s commitment to engage Spelman’s students with “many cultures of the world” and to widen their socioeconomic and political horizons in an increasingly complex and interdependent global society. 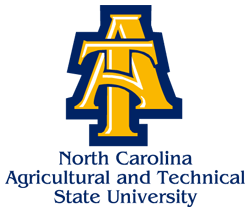 The center was launched under the auspices of the Gordon-Zeto Endowed Fund for International Initiatives. The center serves as the hub for Spelman’s international programs aligned with curriculum development, international student recruitment, and study-travel abroad. 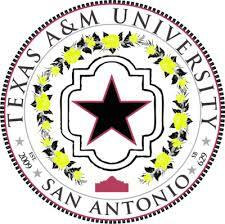 The Texas A&M University-San Antonio Educational and Cultural Arts Center (ECAC) is beautiful facility that will continue to tell the story of the Latino experience in America with a focus on South Texas through local and regional art, history and culture, dedicated and sharing the transnational experience of Latinos in America. The Chenrezig Tibetan Cultural Center was opened in 1990 by Losang Samten with the help of David Hall and UTEP President Diana Natalicio. A meditation center was established in order to develop an awareness of the Chinese occupation of Tibet and of the Himalayan culture. The Center’s main purpose is to bring awareness to the people of the community; to help them become friendlier, more caring, understanding and loving; and to help form them into a human family on this planet. The Multicultural Student Center (MSC) has existed for over a decade to support the educational, cultural, social and intellectual growth of the campus community, and raise awareness about individual differences and global issues. The Center supports the institutions goal to ensure that the entire campus community is a safe and welcome environment for everyone regardless of your individual difference. The Center assists with the coordination and planning of special events to raise cultural awareness, celebrate global diversity and building community. Tribal Colleges and Universities (TCUs) have played a significant role in providing higher education access to Native American students. These students, often overlooked in higher education, find places to learn, thrive, and achieve their goals while maintaining and celebrating their deep, rich, distinct cultural identity. TCUs also contribute greatly to the communities and nations in which they are located. Here are 10 examples of TCU programs that focus on community outreach and service. Diné College School of Public Health has partnered with the Community Health Representatives (CHR)/OUTREACH Program to implement public health initiatives. It is through CHR that the college is able to provide awareness to Navajo communities about health. The instructional program ensures that community health representatives have the same knowledge base and that they all have had an overview of the basic concepts and principles of public health. These highly skilled community members now have the opportunity to integrate all of their health care experience into a public health perspective. This particular joint certificate program is specifically tailored to the public health needs and concerns of the Navajo Nation. 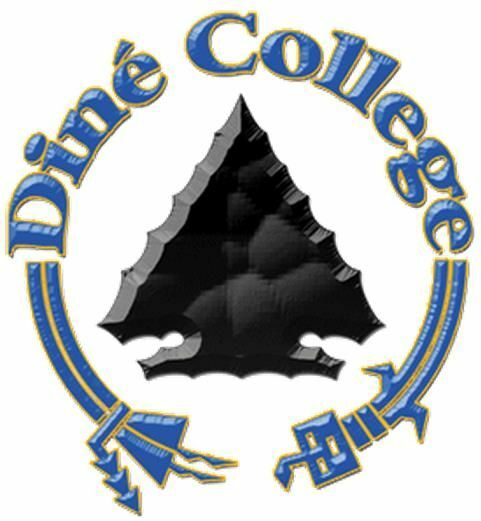 Presenting this information in a culturally appropriate way is part of the mission and work of Diné College. Haskell’s and University of Kansas’ speech-language-hearing faculty have worked together since 1990 to help meet a need in Native American communities for professionals in speech-language pathology and audiology. Southwestern Indian Polytechnic Institute (SIPI) has collaborated with the SEVA Foundation to create a unique program designed to provide economic opportunities and prevent unnecessary blindness among American Indians. As part of the SIPI program domestically, ICU is providing 600 pairs of eyeglasses and sunglasses to impoverished Native American communities in New Mexico. SIPI works with Seva and will train 25 American Indians, most of which are women, to be top tier vision technicians and licensed opticians. This training is at no cost to the participants and benefits the high demand in impoverished American Indian communities in or near the Albuquerque area. 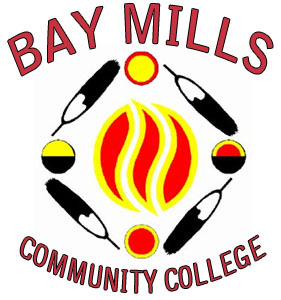 Bay Mills Community College implemented a Food and Fitness Initiative to increase awareness of healthy lifestyles. The vision for the Bay Mills Food and Fitness Initiative is the development of a comprehensive community-based lifestyle improvement program that incorporates personal wellness and gardening education and activities as means of improving the wellness of program participants and their families. Earth Lodge Movement is a new organization on the Fort Berthold reservation. All members are of Native American tribes and plan to build a living Earth Lodge Community of three homes and one central community/education lodge, combining traditional earth lodge design with modern green energy and architecture. The earth lodge community will help mother earth directly through sustainable living for the founding families, as well as being an educational model for others communities, and raising the environmental consciousness on the Fort Berthold reservation. Fort Berthold Community College is one of the key partners of the initiative. 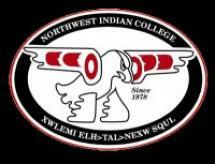 Leech Lake Tribal College established “Mino- ayaawigaming” (The Wellness Center). The mission of the Mino-ayaawigaming is to improve the health of the students and their families while providing students with a safe, confidential environment where they can seek advice and ask questions. The wellness center also has an extension and community education component, offering a wide range of free and low-cost classes in which participants gain knowledge they can take home with them and put to use. Examples range from learning traditional cultural skills such as moccasin making, beading, and pottery, to practical workshops on nutrition, healthy cooking, seed saving, and much more. 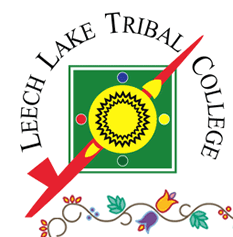 Leech Lake Tribal College Extension programming has an added emphasis on sustainability and food security as part of our overall goal to help families make healthier choices and strengthen their communities. 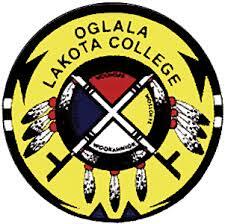 Oglala Lakota College initiated the Lakota Language Immersion Childcare program in 2012. What led to Oglala Lakota College’s decision to embark on the Lakota Language Preservation Program was the realization that many of the young people were not speaking the language. The express goal of the language nest is to use a full-immersion childcare setting to revive fluent Lakota use among young people as a catalyst for overall revitalization of the language across Lakota Country. 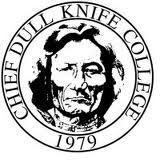 Chief Dull Knife College in collaboration with the American Indian Housing Initiative built a much needed childcare space for students and staff of Chief Dull Knife College. At the same time, the space provided a chance for young parents to learn about how to best care for their infants and toddlers. Constructed out of straw bales, it uses energy-saving features such as day lighting, cellulose insulation, and radiant floor heating. NWIC is in the midst of a campaign to boost its graduation rates with the help of Achieving the Dream, a national initiative aimed to help more students earn degrees and certifications. The initiative helps colleges collect and interpret data in order to increase student success and graduation rates. NWIC’s community nature goes hand-in-hand with goals of Achieving the Dream, which requires participating colleges to gather input from their communities to help identify barriers for students and come up with ways to help them. The Sustainable Development Institute (SDI) is dedicated to examining sustainability issues and applying them to the Menominee model of sustainable development. The purpose of the Sustainable Development Institute is to ensure the principles of sustainability committed to by the College of Menominee Nation. One thing that many MSIs can boast about is their diverse faculty. Having a racially and ethnically diverse faculty is empowering for students, particularly those who share racial and ethnic identities with said faculty. 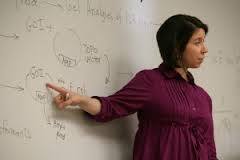 This post highlight 10 tenured Latina/o faculty at Hispanic Serving Institutions (HSIs). 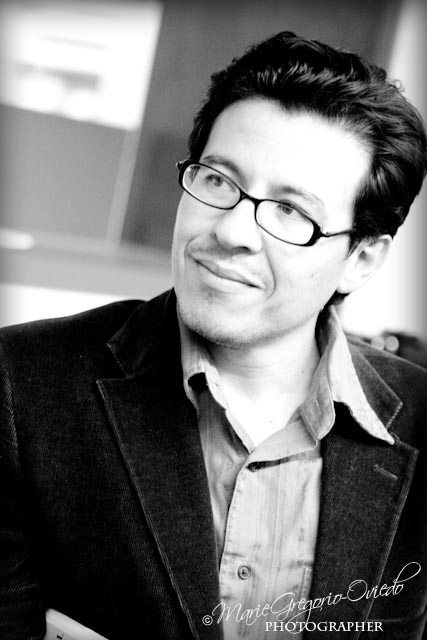 Dr. Alamillo’s research focuses on the ways Mexican immigrants and Mexican Americans have used culture, leisure, and sports to build community and social networks to advance politically and economically in the United States. His family’s experiences in the lemon industry inspired his first book, “Making Lemonade out of Lemons: Mexican American Labor and Leisure in a California Town, 1900-1960.” He recently co-authored the first textbook on Latinos in Sport titled “Latinos in U.S Sport: A History of Isolation, Cultural Identity, and Acceptance.” His current research project includes a transnational history of Mexican Americans in sports and the commercialization of Cinco de Mayo during the 20th century. 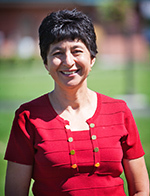 Dr. Orozco is Professor of Educational Leadership and former Director of the Professional Administration Credential Program at California State University, Fullerton. Her experience includes 31 years in educational leadership, including both public and private educational settings, district and county offices of education, and higher education administration. She has taught in higher education since 1991. She also founded Leadership Innovation, a consulting organization, focused on ‘leadership in technology’ and ‘global leadership’ for practicing school administrators. 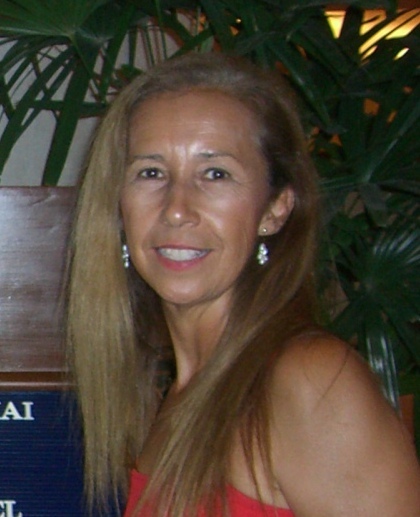 Dr. Barcenas has over 20 years of research and teaching experience. Her main research interest is the application of genetics to the development of environmentally sound pest control tactics. Her current interest is the use of DNA technology for identification of pests of quarantine importance and DNA barcoding of Washington native plants. 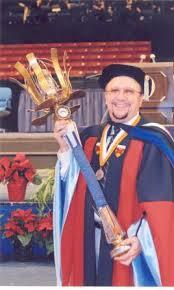 Dr. Dennis Bixler-Márquez is Professor of Multi-Cultural Education and Director of the Chicano Studies Program at UTEP. He received his B.A. in Political Science and M.Ed. 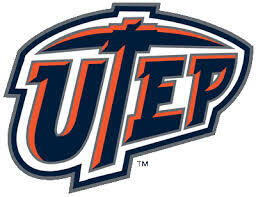 in Sociocultural Education from The University of Texas at El Paso and an M.A. in Spanish and a Ph.D. in Bilingual/Multi-Cultural Education from Stanford University. His primary areas of research are border security issues, educational sociolinguistics, language policy, multicultural education, immigration, and Vietnam War Latino issues. Dr. Domingo Marqués is a Professor of Psychology Psy.D. Program Carlos Albizu University. He is currently Director of the Dialectical Behavioral Therapy and Research Program at the Ponce School of Medicine. It is also part of the editorial board of the Puerto Rican Journal of Psychology . He is currently principal investigator on research studies on psychotherapy for borderline personality disorder, non-suicidal self injury and stigma in people living with HIV. Professor Montero is a tenured Associate Professor in the Department of Foreign Languages and Literature at John Jay College . She has been a full time member of the Department for seventeen years. She has published three books, various articles and is currently researching a fourth book: “Women, Crime and Justice in 19th Century Spain” (this book, as all of my books, is written in Spanish). Dr. Lopez has published numerous articles in professional journals. She is listed in Who’s Who in American Education. Her research and areas of interest are Mexican Americans and segregated schools, Latina suicide, Tlingit in Segregated Schools. Dr. Jauregui teaches engineering mechanics, structural analysis, and bridge design. Research includes experimental (static and dynamic field-testing, close-range photogrammetry) and analytical (finite element analysis, virtual reality) evaluation of bridge condition and behavior. Rethinking the Cuban experience is the crucial intellectual direction of Dr. Perez-Stable’s research. She draws liberally from history, politics, and sociology. Her long-term research project is Cuba’s Long Twentieth Century, 1868-2002, from the start of the first independence war to the republic’s centennial. Instead of focusing primarily on the United States and sugar monoculture, she seeks an understanding of how Cuban political agency at critical junctures was also determinative of the island’s trajectory. She is also a member of the Cuban Research Institute’s advisory board. Who doesn’t love a good movie moment?! And who doesn’t love HBCUs?! (If you don’t we are hoping to change your mind. You can also visit our Center’s website (www.gse.upenn.edu/cmsi) for more reasons to do so). This week we thought we would combine your love of movies and HBCUs and share some of the most memorable and possibly obscure movie moments, both fictional and real, where HBCUs and HBCU campus culture got a shout out. Is your favorite moment here? If not, add it in the comments and keep the magical moments going! Here we go! Though Mission College was not an actual HBCU, School Daze and its HBCU inspired motif has been a classic film of discussion when referencing HBCU campus life and Black Greek Letter Organization’s culture. One of the most memorable scenes happens in a fictitious beauty shop where the deeper hued Black female students with natural hair face off “Broadway musical style” with the Gamma Rays, who are a sweetheart auxiliary of the popular fraternity on campus. The Gamma Rays tended to be fairer skinned with straightened, longer hair. If you remember nothing else from this movie, this number boasting of greats such as Jasmine Guy & Tisha Campbell puts a score and choreography to the great colorism and politics of Black hair debate within the African American community. Based on a true story and driven by the star power of Denzel Washington, The Great Debaters tells the story of Melvin Tolson, a professor at Wiley College, who took the school’s first debate team to challenge Harvard in the national championship. In these final moments of the film, the students successfully argue that civil unrest is a better alternative than violence. Who didn’t want to jump up and clap when James Farmer Jr.’s character ended with the powerful line, “You should pray I choose the latter”? So we tried not to repeat movies, but we could not leave out the iconic ending sequence of School Daze. Laurence Fishburne’s character Dap ringing the bell at Mission College and screaming across campus for everyone, from students to the college president, to “Wake Up” is a scene that has stayed with viewers since the movie debuted. Dap was challenging the campus to think about what they were doing to each other and the values they were replicating. The film’s director, Spike Lee, challenged the audience to do the same. Though we desperately wanted to wave our flags in the air around like a ‘helicopter’ to Petey Pablo, we instead were entertained with a rendition of Pablo’s, “I Told Y’all,” an over the top performance with what was presumed to be Morris Brown College’s marching band. At a time when the college was facing accreditation challenges and much negative press, Drumline took the opportunity to shine some positive light on the HBCU, whose “Purple Haze” marching band always had a reputation for being one of the best in the land (*ducks from FAMU & Southern alum* C’mon folks, we said “one of”!). The “Sticky Sensation” drumline gets a highlight in the big finale of the film. In ATL we find out that “New New” is actually Erin, the daughter of millionaire John Garnett. In a deep desire to be immersed in Black culture, we find Erin in a debate with her father about her desire to go to Spelman and his desire for her to attend an elite, presumably Ivy League institution. Erin makes the strong argument that Spelman is just as good of a school as the fictitious “Brinton College.” Erin does eventually win and we see her donning a Spelman Tee as she moves in for her freshmen year at the renowned HBCU. Much like Mission College in School Daze, Truth University is not a real HBCU. However, when main character DJ Williams, played by Columbus Short, is encouraged to learn more about the rich legacy of the fictional HBCU and Black Greek Lettered Organizations (BGLO), we find ourselves journeying through “Heritage Hall” and getting a lesson as well. Though fictional, Heritage Hall featured great HBCU & BGLO figures such as Martin Luther King Jr. and Rosa Parks. This moment takes a break from all the stepping and love stories to point out the great contributions HBCUs, their students, and BGLO members have made to not only the Black community but to American history. So we lied, School Daze has made a third appearance (C’mon it really is a cult classic folks). 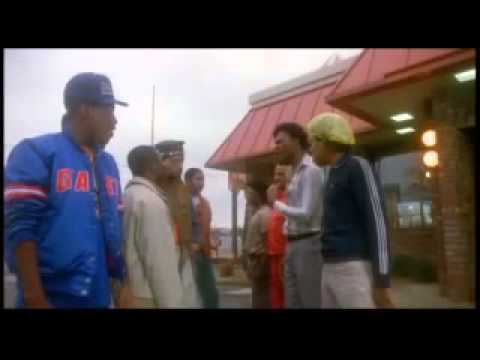 In this scene, Dap and his crew find themselves at the local KFC. Some local residents have some choice words about how the Mission College students treat them. A heated discussion erupts ending with a classic line delivered by Laurence Fishburn. Director Spike Lee uses this scene to give us a peek into the unique intersection of race and class, the question of Blackness, and the sometimes tricky town gown relations between HBCUs and their surrounding Black communities. In The Pelican Brief, Gray Grantham played by Denzel Washington is a political reporter for a Washington newspaper. It is Gray that Darby Shaw, a young law student played by Julia Roberts, confides in about the assassination of two Supreme Court justices. In the film, for a moment, we see Gray (Denzel) in a Howard University t-shirt, implying the reporter just may be a former Bison. Below, Gray has so kindly let Darby borrow his shirt. He doesn’t look too happy about it. In Lee Daniels’ “The Butler,” we meet the main character, Cecil Gaines’ eldest son Louis. When it is time to enroll in college Cecil wants his son Louis to attend Howard University, as he feels the deep South is far too volatile. Louis has his own ideas about the matter and ends up enrolling at Fisk University against his father’s wishes. Louis goes on to join the Southern Christian Leadership Conference and takes part in many acts of civil disobedience such as sit-ins, the Selma Voting Rights Movement, and the Birmingham Children’s Crusade. Louis later becomes a Black Panther for a short while, but eventually exits the group, gains a master’s degree in political science, and runs for Congress.